What then Frank, is the cause of this very common Toyota problem? As owners continue to contact me in frustration about the current ENGINE OIL SLUDGE customer support program at Toyota, I see some interesting trends. I am wondering if others can come forward to confirm. First, there is a NATIONAL backorder of pistons and piston rings used in the sludge repair program. I have noted that one owner had to wait SIX WEEKS for these parts to come in. Another owner was told by her service manager that there is a "problem with getting supplies....the piston rings are on backorder." This begs the question....WHY, if there are so few sludge victims out there, are the parts not available. I recall when Iwas involved in the Chrysler ABS defect debacle that the ABS parts were also on NATIONAL BACKORDER for months. Is Toyota actually being overwhelmed with repair need? Are these part delays directly related to the incidence of sludge cases? Perhaps some technicians will comment? Now, what about the fouling of the emissions control components? Why are so many OXYGEN SENSORS going bad? Don't these components affect the air/fuel ratio in the vehicle? Why are CATALYTIC CONVERTERS going bad after sludge repairs? Why is it that so many fuel system related components are being replaced just before the onset of sludge? Spark plug are fouling. Owners report misfiring and poor engine performance. Some owners are reporting failed state emissions tests. I have noted in the past the trend in sludge occurrence based on model year. I have noted that the 2000 vehicle...Sienna, Camry, etc., seems to be showing the earliest sludge. Are these owners just even worse at maintaining their vehicles, do you think? I think that notion is absurd! The 1999 model are showing the sludge around 36,000-40,000miles. The 2000 models show it much sooner.....25,000-36,000 miles. There are scores of vehicles which had the problem at UNDER 20,000 miles on the vehicle. This refutes Mike Michels', spokesperson at Toyota, claim that owners are not changing their oil for 20,000-30,000 miles! What a joke! He is the same fellow who says that Toyota is "unaware of engine oil sludge in vehicles which have been properly maintained." There are a some owners who had sludge develop in their Sienna vehices within the first year of ownership and with less than 15,000 miles on the vehicle. Tell me what Mr. Michels has to say about those cases! I see a trend on oil analysis for a greatly reduced initial oil viscosity even with less than 1,600 miles on the engine oil. When the engine oil gets closer to the outside limit of the owner's manual recommended oil change interval, the oil shows maximum nitration and almost equal oxidation. The oil is out of grade. It is essentially TOO THIN. Is this the precursor to SLUDGE development? Is there great heat and engine wear as the oil loses its lubrication effectiveness so early in the life of the oil????? Is the resulting high heat effectively COOKING THE OIL within? An EXXON lubrication specialist mentioned "cold spots" where the acids can accumulate. Is there such an area within the oil passages of these vehicles? If so, would it first appear as VARNISH and baked on oil and later as SLUDGE if the condition is not corrected? Where might this varnish first appear? What would it look like? Please, technicians and oil specialists, please chime in. We need a good, analytical discussion as we had a Edmund's before I the discussion was abruptly CLOSED. Let's examine the recent reports of engine compartment fires after the affected engines throw a rod through the block. First of all, is it the thick sludge or even the precursor condition of reduced viscosity, fuel-contamined oil that results in the engine rod being thrown? THEN, what apsect of this condition would cause a CATASTROPHIC FIRE in the engine compartment? I have recently read such reports and I would like to know the connection. Thank you for your CONSTRUCTIVE addition to this discussion from a technical, and analytical perspective. If you choose to use personal attacks in this discussion, I will forward them to the site maintainer for removal. Opposing technical views are welcome. We have a 2000 Sienna that had sludge problems and Toyota fixed the engine. But just 30,000 miles later the engine blows and they tell me that a piston broke and that that sometimes just happens. They also said that they did not replace any parts in the engine but just cleaned it out. Could the sludge from before caused that. No engine light ever came on. The only indicator was the oil light for a few miles. When it came on I pulled over and checked the oil and it was perfect. We have reciepts for every oil change and it was done regular. MY 99 Camry just blew its engine, regular oil changes and only 51K miles on it! "Toyota Owners Unite for Resolution"
Here you can find announcement of sludge program, copy of the letter that was to be sent to 3.3 million owners, and acknowledgement by Toyota that this is just an issue with two specific Toyota engine designs. Toyota says it is not a design problem, but an owner maintenance issue, yet limits the policy to two specific engines over a given range of time. The information on this site is not readily available except to mechanics, however, one of their announcements addresses the problem. In this announcement they discuss the problem of sludge in properly maintained engines (something that Toyota says is an impossibility). This government-run web site includes owners’ report of sludge engine failures by year and by auto make and model. Search under “Problems and Issues” heading. NHTSA opened an investigation into the sludge problem in 2002 but closed the investigation in a matter of a few months because of Toyota’s announcement of the sludge policy. The above link is for the Avalon, but all the models covered by the sludge policy are reported to have significant engine problems. These ratings are based on reports from independent garages (not ones that are manufacturer affiliated) so they give an unbiased picture of problems that these garages see in vehicles. AutoNews and several other publications included the announcement of the sludge problem in February and April 2002. Several publications had subsequent announcements. As of this writing, over 375 signatures of owners who have experienced sludge and are dissatisfied with Toyotas response to their problem. Do a web search for “Toyota Engine Sludge” and you find numerous reports of engine sludge in Toyota’s. View from a garage that specializes in Toyotas. See discussion of engine sludge on this forum, including one by Toyota rep (tmsusa1). Includes discussion of sludge problem. I'm not denying that the engine is hard on oil, but with short intervals and good oil they seem to do fine. It is, however a particularly poor canidate for brand "x" bulk oil, or quicky-lube places (the wrong oil or not changing the filter would really screw you on a sludge prone engine). A decent Group II+ oil like Chevron Supreme or Pennzoil changed at 3k would be pretty safe, though I personally would want to do at least occasional oil analysis too. For a little extra piece of mind, running a $4-5/qt Group IV or PAO synthetic wouldn't be a bad plan either. Nothing wrong with the AutoRX suggestion also. I wonder whether a colder t-stat, different fan thermal switch, or an oil cooler would help any...but since the problem seems relatively minor it probably isn't worth it. I did find the comment about the person whose engine died from lack of pressure after the oil warning light came on amusing. One would think that they would have known that the Service Engine Soon/MIL light has utterly no connection to mechanically conditions such as overheating or low oil pressure! I really don't want to seem like I'm bashing amsoil, but I wonder if since this engine has a historty of the problem, the amsoil warantee wouldn't apply? The problem here is simple, and Toyota has identified it. It is simply owners who do not use good oils and go too long between changes. Sludge is ONLY formed when using PETROLEUM oils. At high heat, petroleum oil forms sludge. Solution? Use ONLY a PREMIUM 100% synthetic Oil. No more sludge. As far as the other ideas suggested like changing to a cooler thermostat, etc. DON'T DO IT!! That engine and computer is designed to run at a certain temperature. And, putting in a cooler thermostat can actually cause your engine to run hotter, just like having no thermostat. A thermostat is designed to keep the coolant in the radiator for a certain period of time. Then at the desired temp it opens and the coolant flows. Opening too soon due to a lower temperature can cause the coolant to flow out too quickly and not have the time in front of the airflow needed to cool. Every engine is designed to run at a specific temperature. The solution is Redline Oil from the day after the engine is broken in. There is no real solution to the Toyota engine oil sludge problem. It does not matter when you change your oil or what kind of oil you use (even synthetic), you cannot guarantee that you will not develop Toyota engine oil sludge. This is documented well by Toyota owner experiences. Some would like you to believe that Toyota owners aren't telling the truth; their accounts are accurate. Please read the Toyota owner accounts at "Toyota Owners Unite for Resolution: Engine Oil Sludge" at http://www.petitiononline.com/TMC2003/petition.html. Engine oil analyses are important in uncovering what is happening in these engines. The TBN is going below 2 with 5,000 mile oil changes. The TBN is below 3 even with 3,000 mile oil changes. The viscosity is reduced with as little as 3,000 miles on the oil. There is high silicon levels on each oil analysis. The oil is designated "Abnormal Lubricant Condition." All this in a 1999 Toyota Sienna, currently with roughly 70,000 miles on it. So what is really going on in these engines? More importantly, why are we being blamed? This is unacceptable. That is a bunch of crap! I am not pro-Toyota, but engine oil sludge is an OIL problem, not an engine problem. That is SCIENCE, not opinion. Just look at the total number of Toyota engines produced, and then the number with this alleged problem. It is a very SMALL percentage. I am a mechanic with a racing and engineering background. I can tell you for an absolute fact, oil sludge is an oil problem. SYNTHETIC oil CANNOT form sludge unless superheated way beyond the temp a street car can be heated. If you use a PREMIUM SYNTHETIC OIL of the proper viscosity, and change as required, You WILL NOT get sludge. That's a fact. Steve, mechanic or not, the fact is that there are Toyota owners who DID have engines develop sludge after using synthetic oils. In addition, Toyota owners who changed their oil every 3,000 miles have also had sludge develop in their engines. I am not sure why you would be compelled to deny what is fact. I see that you cite a "small" number of occurrences. Are you referring to the number that Toyota gave to the public? Why do you think this is accurate? A Toyota executive says that Toyota counts those who have formally notified it...e.g. letter written. Do you suppose all the sludge victims have written to formally notify Toyota? Before the CSP, Toyota blamed countless owners and encouraged them to trade in their sludged vehicles quickly. Do you think they wrote to Toyota? Why hasn't Toyota updated the number of sludge victims? There are over 1600+ owners who have found my rather obscurely-located online petition since 2003...one full year after the implementation of the CSP. Has Toyota counted these individuals? What is the current number anyway? Do you suppose Toyota will tell us? Do you think anyone is overseeing this count? I am sure that Toyota's mantra is "small" just like it's mantra is "this is an owner maintenance issue." I will tell you, Steve, the Toyota owners think there is much more to this problem and they are not happy about the "Blame Game" being played by TMC! I believe you are right when you say that sludge is an oil issue. However, you have not taken into consideration the effect of these engines on that oil. You have not allowed for the possibility of a defect that hastens the wear of the oil. This is where I believe your theory is flawed. Don't know anything about the Toyota problem and can't say I want to. I don't work on them. However, as a life long mechanic and also a lubricant salesman I can tell you that it's not all the oils fault. I have seen numerous engine designs over the years that are very hard on oil. Even the tried and true GM 5.7L 350 small block had it's problems. At one time I owned a 1988 G30 cube van with this engine and found that deposit's were horrible in this engine around the EGR port in the head even with synthetic oil. The first time I did valve cover gaskets in it I found close to a 1 inch thick solid mass of crud around the EGR port area of the head. It was just prone to happen, it's a hot spot. It's not just Toyota and it's not just the oil used, it's a design flaw. Update to the Toyota "problem". Well, Toyota more or less now admits there is a problem because they are folding over to a class action lawsuit. I see this tread quit often. I've had many toyota's and I believe this sludge problem goes futher than just Toyota. It's just toyota's problem seems to be worst. All my vehicle have gone over 100K and none has had any oil issues. The big problem with dino oil is sludge in the form of water. Most people do not warm up their vehicles enough to burn this water out which turns into sludge. To alleviate this problem, one can change over to a synthetic of a PAO package. This is what I use along with Group III synthetics and never had a sludge issure. Need to remember, synthetic don't mix with water and has a higher detergent package. Too many of us read the manual and do as they say about oil changes but, don't drive in the manner your instructed to. I see this same problem with automatic transmission except their problem is from heat. Dino oil starts to break down at 250 degrees and seperates and that's the discoloration you see in automatic transmission fluid. Much of these posts appear to be pure spin. Statements made are very clearly grossly exaggerated, and many alleged "facts" are misrepresented. First question needing to be addressed is "Why is Toyota being singled out and badmouthed over any other carmaker?" Are there no other auto manufacturers in this world? Is Toyota the only auto manufacturer guilty of the sins alleged? Why (and how) is Toyota any different than any of the the others? same messages in hundreds of other sites on the net? Are we considered so naive as to believe that all cases of sludge are the fault of Toyota and no other cause? Has any effort ever been made to confirm even one of the stories we are supposed to blindly accept as gospel? Is anyone "overseeing" the veracity and integrity of the information we are being told to accept as gospel in the post above? Has any real live defect ever been discovered in the engines which are accused of being defective? Is Toyota the only carmaker to supposedly have a sludge issue? If there are others, which are the worst? More questions can be and should be asked of this prolific poster (spammer? ), but if history is any indication, none will ever be answered by the author for rather obvious reasons! One must laugh at the pathetic attempts by Charlene Blake to garner attention to these bizzare claims of malfeasance by automakers. It clearly smacks of a neurotic obsession. When challenged as to authenticity of these outragious allegations, she responds with diversion tactics such as this forum, and launches irrational tirades about how we are being mistreated by those who disagree with her rants. One of her favourite expressions...."am not on trial here or elsewhere", is laughable. Charlene completely ignores the reality re what she puts into the public view is always subject to challenge, and makes her own rules..."NO ONE CAN CHALLENGE ME BECAUSE I'M NOT ON TRIAL!!" Well Charlene, in a sense YOU aren't on trial, but what you say publicly is on trial, and always will be. No one, not even the inscrutable (???) Charlene Blake, can insist everyone bow down before her and accept what she says without question. Especially when what Charlene claims is so outragious, so manipulative, so misleading, so full of untruths, so full of imagery, inference, and innuendo, as to be crying out for challenge. Charlene Blake may not be on trial, but her campaign of lies certainly is. And she has no right to suggest otherwise!! When put to the test of truth, integrity, and rational objectivity, Charlene Blake's claims fail miserably. Charlene, you have failed, and your failure to admit your failure is unquestionably your biggest failure of all!! Sludge is a simple biproduct of oil that cools and is heated over and over. A used engine without it would be right. I have attached some advice for Toyota consumers (or any other make as well) with ENGINE OIL SLUDGE. Toyota sludge continues and so does the denial of coverage under Toyota's very own "Customer Support Program for Engine Oil Gelation." What I have done is but the tip of the iceberg in terms of uncovering the details from thousands of Toyota owners online. These owners include some vehicles not currently included under the CSP--Corolla, Matrix, Rav4, 4Runner, Tacoma, etc. If you have an affected vehicle--Camry, Avalon, Sienna, Celica, Highlander, Solara, Lexus RX330, Lexus ES300, etc.--you need to insist that Toyota actually honor its "unprecedented" and "generous" program. After all, the company has bragged about it for years! Have you noticed how visible the program has been since initiated in 2002, though?!? "Out of sight, out of mind" must be Toyota's motto! Those who own the other models may well have to do what the other owners had to do before--voice loudly and often their concerns. Unfortunately, you cannot pull up the 10,000 angry Toyota postings from the now defunct "Complaint Station for Toyota" as the site mysteriously went down in 2004. Same is true for the Cartrackers.com Toyota forum. You have to really dig to find the CarSpace.com (once "Town Hall" at Edmund's) archives on Toyota engine oil sludge. No, such information has been effectively buried...and I guess for good reason considering how many new complaints are emerging!! Some Toyota owners are noting thrown engine rods, failed emissions testing, and even ENGINE FIRES! Sludge clogs up their vehicles engines until catastrophic failure results. This has happened in as little as 12,000 miles on brand new Highlander! The reason the original sludge victims were so angry is because their new vehicle warranty was made VOID by this engine-choking material. Toyota blamed the vehicle owners in the beginning. It STILL blames them. There has been no ownership of responsiblity in this matter other than to say that "certain" models are predisposed to owner neglect (lack of maintenance according to Toyota). Hmmmm...makes sense...NOT! Toyota won't give the updated figures for sludge complaints. Who or what is monitoring what it does? No one, apparently. The NHTSA accepts the CSP but isn't keeping tabs on the follow through. It is important for the Toyota owners to SPEAK OUT. Start by signing my petition entitled "Toyota Owners Unite for Resolution: Engine Oil Sludge." It can be found at http://www.petitiononline.com/TMC2003/petition.html. Take the time to read the Toyota owner online accounts. Consider getting engine oil analyses regularly to find out what is happening to your engine oil over time. You will be quite surprised, no doubt. Do the 4 cylinder Toyotas (Camry 1999) experience this sludging problem? 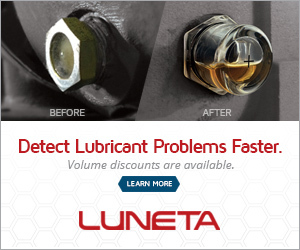 Yes, it is included in Toyota's "Customer Support Program for Engine Oil Gelation." Many 4-cylinder Camry owners report a "cooked" type oil condition that looks as if eggs have been fried under the valve cover. Check out the Center for Auto Safety's "Sludge" link to find out what models/model years are included. Charlene, I tend to believe your side of the story. Toyota, faced with a potentially huge recall could very well be trying to avoid its responsibilities. People tend to be very loyal to companies they believe to be good to them and I think Toyota, now swimming in profit, might be getting a bit arrogant and taking advantage of this. We'll see. Let me throw in this consideration. There has been some contention above that if a synthetic oil is used, no sludge will develop and you have disagreed. This is a classic case of the two sides not defining what they are discussing. IF the lubricant is a true synthetic lubricant such as SynLube, Redline or Amsoil, sludge will not be an issue. These are true synthetic lubes. They have a much greater ability to tolerate heat and to release heat once away from the heat source. I don't think you will find any case of sludge when these oils are used. Other oils, marketed as 'synthetics' like Castrol Syntec and others by Pennzoil and Quaker State to name a few are petroleum products based on Group III base oil. In my view, the marketing of these products amounts to a hoax where the marketers make a large profit selling the consumer something different than he thinks he's buying. People who bought these oils may indeed be among those you have heard from. very true Houckster, not all "synthetics" are synthetic. Mobil lost that case years ago to Castrol. Get true PAO synthetic oil, do your proper maintenance, drive your car further than the grocery store and faster than 60Kmh on occasion and you will not have sludge problems. I believe the issue of falsely labelling certain oils with "synthetic" may very well be one of many causal factors in sludge reports. The real causes of the Toyota specific issue are still unknown, and there has been a tremendous amount of speculation about it over the years. I disagree with Charlene Blake's narrow focussed assessment of the sludge problem. She blames Toyota exclusively, where in fact the issue is a complex one with any number of possibilities. Her frequent appearances on the net are characterized by generalities and politicized rhetoric which appear to be thinly veiled attempts to raise alarm by innuendo and inference. When pressed for facts and verification, she craftily avoids these challenges, and when she does respond, it's always with more alarmist rhetoric. The absence of factual and verifiable evidence in any of her remarks is conspicuous; it certainly doesn't point to credibility. While I hesitate to use the term 'lies' in describing much of the rhetoric she liberally dispenses, I must say it seems she does take some pretty wild liberties with the truth!! Interesting enough, the person who has been most vocal against the "Toyota Owners Unite for Resolution: Toyota Engine Oil sludge" online petition with over 2,000 consumer signatures (and who has posted loudly against any formal consumer advocacy in this matter) is someone who also uses the words "speculation, rhetoric; thinly veiled, alarmist; and innuendo and inference" in so many of his posts. 1) MILLIONS of Toyota and Lexus vehicle owners are affected by the premature demise of their engines due to ENGINE OIL SLUDGE. 3) I carried on after several very vocal Toyota owners TRIED to get something done about this. My initial postings resulted in over 6,000 follow-up postings at Edmund's Town Hall (now CarSpace.com). Edmund's banned me from posting when an Ontario "regular" there who uses the same words as the above poster filed complaints---multiple ones. Seems someone was as the "gate" to make sure this issue did not result in a consumer backlash on Edmund's Town Hall. 4) The above did NOT work. This "cat" got out of the "bag." Thousands and thousands of Toyota owners assembled online in the now defunct "The Complaint Station for Toyota" and "Cartrackers.com" Toyota forum. You see, HACKERS made sure those sites did NOT stay up any longer. After all, TCS had over 10,000 postings on Toyota and Lexus engine oil sludge and the Toyota section of that site was THE MOST POPULAR POSTING SITE on the entire web site at the time of the FATAL HACKING! Moderators admitted to the sabotage going on there. Yes, quite the story! 5) Thousands of attorneys were consulted on behalf of individual Toyota owners who were FED UP with this unbelievable injustice! Then, a class action lawsuit resulted....even a Toyota owner attorney began to gather evidence in Idaho when she was callously brushed aside by Toyota when her Sienna developed sludge. 6) Toyota came out with the "Special Adjustment Policy" or "SPA" (sounds like a place to relax, doesn't it?) in February of 2002. 7) Very angry Toyota owners spoke out in Automotive News (a well-respected AUTO TRADE MAGAZINE) and told their horror stories. 8) Toyota came out with the "Customer Support Program for Engine Oil Gelation in April of 2002. Toyota PROMISED to repair or replace engines in the sludge-affected vehicles when satisfactory maintenance could be shown! Why, Toyota spokespeople said that the oil change receipts weren't that important and that only one per year was needed to prove maintenance. 9) I was interviewed and the subject of an article in May of 2002 in Automotive News magazine about how the web is used for AUTO CONSUMER ADVOCACY. 9) Mr. Bruce C. Ertmann at Toyota Motor Sales flew out to my area at the same time and met with me at my local Toyota dealership. He said he would be willing to get me another Toyota or another automaker's vehicle. He really didn't want to hear about the thousands upon thousands of other Toyota owners. However he did meet QUICKLY with a Highlander owner in Reston and PURCHASED BACK his vehicle with 12,000 miles on the odometer and SLUDGE at just one year old!! 10) Very soon after, Toyota owners began to report online and to me that Toyota WAS NOT HONORING ITS OWN PROGRAM for engine oil sludge. Though it stated it would repair and replace engines, the owners reported that it would not and "slammed the door shut" in their faces. This was documented time and time again. 11) I decided in March of 2003, one FULL YEAR after the CSP came out, to create an online Toyota petition for engine oil sludge victims. I wanted DATA to support the fact that Toyota owners were not being treated as Toyota says they were going to be and the fact that Toyota engine sludge was occurring in MORE than just the vehicles listed by Toyota CSP. I wanted to know what others were experiencing. Many Toyota owners report failed emissions testing and ABNORMAL engine oil analysis results (including excessive fuel in the oil, rapid TBN decrease, high silicon levels, and high nitration levels). 12) My petition began to be sabotaged immediately by someone using the same language the above poster uses, coincidentally. It was clear that someone did not want the DATA to come forth! 13) A nationwide CLASS ACTION LAWSUIT was filed after the CSP because Toyota owners were not happy about Toyota's resolution. This class action lawsuit was subsequently SETTLED QUIETLY BY TOYOTA! 14) The petition entries continue to confirm that Toyota dealerships are denying CSP claims and that it is not replacing the engines as promised. 15) The petition confirms that Toyota sludge CONTINUES in the newer models and some 2003-2006 owners are NOT HAPPY! 16) Toyota still has not resolved this problem for thousands who have been affected by engine oil sludge! I will take the challenge of debating you on this issue! Show PROOF that the above 16 items are not FACT! This is good 'ole grassroots auto consumer organizing. Seems some companies will go to ANY EXTREME to stop the same! Just how far will Toyota go online to see to it that the subject of Toyota and Lexus engine oil sludge is buried? One other thing, Silverfox...for YEARS there has been an attempt made to distract away from the possibility of an INHERENT TOYOTA ENGINE PROBLEM by those who insist that synthetic oil will solve the problem. FACT!! There is ample evidence from Toyota and Lexus owners that synthetic oil WILL NOT SOLVE THE TOYOTA SLUDGE PROBLEM! Owners who have BOTH properly maintained their vehicles AND used true synthetic oils have been victims of Toyota engine oil sludge. Synthetic oil did NOT prevent the sludge development. The people who continue to spread this propaganda are doing so intentionally in order to continue to BLAME the OIL if they can't blame the owner! Toyota refuses to acknowledge its TRUE ROLE in the sludge matter. It refuses to take responsibility. P.S. Synthetic oil has NOT prevented the development of Toyota engine oil sludge in properly-maintained vehicles. It is a red herring to blame either the oil or the owner for this problem in a Toyota or Lexus. It would seem that Toyota and the "Toyota-protector" posters are just fine with the distraction away from TOYOTA, the company, though. Toyota and Lexus are "being singled out" because THEY have a MAJOR engine oil sludge problem that has NOT been properly resolved! THESE OWNERS are not interested in what other automakers are doing as they don't own these makes. Yes, there are other automakers. What do THEY have to do with this TOYOTA and LEXUS ENGINE OIL SLUDGE PROBLEM? How will the problems in the other makes help THEM? Let's remember that it has been TOYOTA telling TV audiences (and now online audiences) that its vehicles are above the rest, correct? Why are we now going to surmise that Toyota vehicles are "like the rest?" Toyota has made claims about the quality of its vehicles; it has not backed up these claims for the affected Toyota and Lexus sludge victims. The distracting away from the REAL ISSUE has been going on for YEARS. If one thing is quite clear, it is that Toyota never planned to let its valued vehicle owners know the TRUTH about how engine oil sludge develops in its engines. It wishes to lay the blame with either the owners or the oil or the maintenance facility. NOTHING has changed since the CSP was implemented by Toyota itself or since the Toyota and Lexus owners brought and settled the class action lawsuit. Toyota sludge is alive and well! Paragraphs #1, #2, and #3 are totally incorrect! For Ottobooster, Silverfox, and others, please cite the evidence that confirms these statements. The TRUTH must be told, not covered up! Scotchnsoda, maybe you have had a few two many? I am not a "prolific spammer" by any stretch. I am a VERY involved auto consumer advocate and have been for over a decade now. I think the auto consumer should receive JUSTICE when applicable. I don't mind speaking out about that. Nothing could be more true than in the Toyota and Lexus engine oil sludge matter. I am happy to continue the dialogue about Toyota and Lexus engine oil sludge and the horrible consequences of the same for the owners of these vehicles. I am not going to be distracted about the oil or maintenance issues because the are NOT the most important factor in this case. The ENGINE is the most important factor and I have yet to see Toyota provide the owners with PROOF that this engine treats motor oil well! Indeed, I have plenty of proof to the contrary though, beginning with my own engine oil analyses. Alas, no one at Toyota will recognize what these sludge-affected Toyota and Lexus engines do to the innocent oil or the innocent vehicle owner! I originally hesitated to use that word, but what she has written cannot be considered anything but LIES!! "Millions of sludge affected Toyotas??" There's an exaggeration which goes far beyond imagination--it falls into a wildly delusional category for sure. It's just not true--so far from the truth as to be unbelievable. Why anyone would go so far beyond reality raises serious questions as to someone's sanity!! Next, she infers there are "Many low mileage Toyotas that were sludged"!! The only low mileage sludged engines came about as a result of neglected oil changes--and that's a documented fact!! I'll wager this contention is based solely on a few posts or emails she may have received--but no real documented and verified proff from anyone! One can easily show how distorted and embellished the rest of her laims are, but why bother? lies, the rest of what is said becomes tainted. Charlene Blake has proven every one of my earlier contentions with such blatent and illogical LIES!! (snipped first part) Next, she infers there are "Many low mileage Toyotas that were sludged"!! Silverfox, please cite how you know that every low mileage sludged engine came about as a result of neglected oil changes! Have you personally noted all of them at Toyota? Do you work for Toyota or have privilege to see such documentation? Interesting that you make a global claim and yet you are not affiliated with Toyota at all! Wow! Toyota is selectively documenting just what it wants to! Do you suppose for a minute that Toyota has PROPERLY DOCUMENTED the occurrence of Toyota engine oil sludge in the wake of proper maintenance? No! It has gone to great lengths to avoid doing so. You and Toyota know full well what kind of "selective documentation" is going on there! Toyota wants to have it down on paper that this condition is just caused by improper maintenance. This is simply NOT the case. You now it; Toyota knows it. Remember, I've spoken to Toyota owners over the course of seven years now. That's right...I stumbled on Toyota engine oil sludge back in late 2000 when researching information about BRAKE PROBLEMS (and susequently brake failure) in the Toyota Sienna minivan. If you want to PROPERLY DEBATE this matter, please come out of the shadows to OPENLY discuss this matter. I'm happy to participate when you do. I do not resort to your kind of attack-posting, though. Be prepared to be civil in your dialogue; leave your emotion out of it. Have you noted the new entries in my petition? The 2003 models and beyond are showing up there now. Other models (not included in the CSP) are showing up, too. Toyota has some explaining to do. Oh...let me guess...it is *only owners of CERTAIN MODELS* that do not properly maintain their vehicles???? RESPONSE TO CHARLENE BLAKE'S LIES, LIES, AND MORE LIES!! Ms. Blake, you must have a serious hate against Toyota for you to tell outragious untruths like you did in this forum!! Otherwise how on earth can anyone rationalize going so far out on a shaky limb like that?? I note in your last response that you avoided any discussion of your first malicious accusations--your first (of many) bald faced lies---you know the one you conveniently avoided---about those "millions of sludged Toyotas". Time to fess up now!! No, you don't even blink after being caught in that one, then you immediately go on the offensive and DEMAND proof that those "Low mileage Toyotas" got sludged because of NEGLECT!! Well, you made the claim in the first place, therefore the burden of any proof is yours, no one elses!! You have no rights to DEMAND anything, because you're already way behind in honesty points !! Oh yeah, we know that you'll probably "say" you've received complaints, and we're pretty sure you'll even trot out some cutpasted "complaints" for "effect". But all the usual hype and bluster you always dispense aside, all you've got is just hype and bluster!! Sorry, but ZERO PLUS ZERO EQUALS ZERO!! You lied--not once, but many times in your rush to judgement here--and it has cast huge doubts on any integrity whatsoever in your case. Lies won't cut it lady. You made a huge mistake! Cut pasted (or fabricated perhaps?? )horror stories aren't proof either, so don't put your foot any further into your mouth!! The sad part is that you don't have the guts to at least apologize for your dishonesty!! Your entire case is shot full of holes with lies and distortions, and there's no one to blame but you!! I suggest that you speak with Bruce C. Ertmann at Toyota. He is the one that promised to send out the 3.3 million Toyota/Lexus owner letters to those affected in the engine oil sludge case. Sure, we know that on the first round of letters he stopped them from being sent out. The first letter was a very customer-demeaning letter that shamed the owners of these iron-clad vehicles. Then, when the second round of letters began, I learned that many Toyota owners still never got their letter! Imagine that...evidence of a problem...and no notification from Toyota! I guess now you understand why these owners all signed on to a class action lawsuit. There are 3.3 million Toyota and Lexus vehicles included in the sludge campaign initiated by Toyota. Unfortunately, that is NOT the true number because other models and model years are affected. Toyota has yet to acknowledge this fact. Charlene said:--"Millions of Toyota and Lexus owners are affected by the premature demise of their engines due to engine sludge!!" Where are the "affected millions" Charlene?? You know, the millions of owners you "implied" whose engines "demised?" Or are you now changing the story to try and deflect your lie by suggesting these "millions" of owners got a letter from Toyota and that somehow "affected" them and caused their engine to "demise?" Truth be told, the only one I know of now who is "affected" is yourself--although I'm not sure with what---(perhaps a genetic predisposition)---and I know for sure there's no cure. Sadly, when your lies become that compulsive, I don't think there's much hope for any change in the condition. Bruce Ertmann would probably agree!! Your feeble backpedal is a day late and a dollar short!! You just plain lied--and got caught! guess now you understand why these owners all signed on to a class action lawsuit." So Charlene... are you now saying those "millions" of owners ALL signed on to a class action law suit???" Sheesh---It gets better by the hour here!! So THAT's where the "millions" of owners went. I viewed that "petition" and naturally Charlene's name is the first one on it. In the narraratives of each post many people said nothing of sludge! They complain of "check engine lights" and rough idle, etc. And, many of these people bought the car used but claim proper maintenence. AND, the best part is, NOT ONE specified the use of 100% premium synthetic oil since day one! The point Charlene STILL cannot comprehend, is that is PHYSICALLY IMPOSSIBLE to get sludge when using 100% premium synthetic oil. Charlene, do you know what IMPOSSIBLE means? Many of those people on that petition who have had engine failure were those who bought the cheap oil at the cheap oil change place. And, many knew of a problem and drove the car anyway. I stand firm that sludge is an OIL problem, and NOT an engine problem. Sludge comes primarily from cheap PETROLEUM oil, and lack of proper maintenence. I have an extensive mechanical background. I have built and raced performance cars as well. I have seen, first hand, the difference between using petroleum oils and synthetics. No comparison. Cheap customers have sludge because cheap customers buy cheap oil. This is reality. Thanks for your common sense info. Your advice for synthetic oil is a big part of a myriad of issues re sludge development. I found this site out of curiosity because I have a Toyota product (which, like most owners,I'm quite happy with) and was just surfing. When "paparazzi wannabe" Charlene Blake jumped in with that boatload of hype--mostly smoke and mirrors BTW--I decided to expose what was essentially a pile of lies and misleading inference. I also did a google search on this person and found thousands of hits on literally every auto related site on the net! It seems we're dealing with a person who, for Lord knows what reasons, has made a career out of bashing Toyota! All of her efforts have a common denominator---mostly alarmist hype with little substance and absolutely no authenticity. I also looked at her much touted "petition". What a joke that is--it's been active (if you consider active as barely alive! )for over 5 years and has accumulated an underwhelming number of around 2000 signatures! I also noted a great many blank spaces throughout the thing--no signature at all yet counted as one! That petition is mostly futility however, because it appears there's no way to verify any signatures as legitimate, and because there are no checks and balances to determine legitimacy--apparently a single person can sign as many times as desired! If Blake has a legitimate beef with Toyota, I would respect that if she was the least bit honest in her condemnations, but she chooses to use cheap rhetoric and shoddy political hype in her obssession over that beef. But she isn't being honest, and I'll challenge her every time she opens up with another one of her ill gotten manifestos---on principle!! MILLIONS of Toyota and Lexus vehicle owners are affected by the premature demise of their engines due to ENGINE OIL SLUDGE. that is PHYSICALLY IMPOSSIBLE to get sludge when using 100% premium synthetic oil. Not true. PAO and esters will degrade, just at a much slower rate. The AO and dispersant additives in the oil are another important factor. Expensive oils (syn) will tend to have better/more AO/ dispersant than cheap dino oil. The degredation can be easily seen on the oxidation and nitration values in a UOA. Thanks for the info--that's the kind of realistic and balanced approach needed when someone comes out with "overstatements" the likes of Blake's. That was the uneducated response I was waiting for. You must be Charlene Blake's husband, or mechanic. You obviously DID NOT read EXACTLY what I wrote. I will spell it out for you one more time. First, sludge is a PETROLEUM by-product. Therfore, if you use a TRUE synthetic, you absolutely CANNOT get sludge. Notice all of my posts clearly specified "100% Premium synthetic oil". This would be a GROUP 4 oil which uses a CHEMICALLY ENGINEERED synthetic base stock for its base oil. This oil does NOT contain ANYTHING petroleum. NOTHING. Unlike the GROUP 3 [wannabe] synthetic oils that use mineral oil for a base stock. This is your low end "synthetic" and "synthetic blend" oil like the stuff you buy with the Wal-mart brand or other store brand, etc. This is NOT a TRUE synthetic. This is the oil you are speaking about and is NOT the oil I was speaking about. This is NOT a "100% Premium synthetic oil". Subject: New Reply by Tempest - Re: "Toyota Engine Oil Sludge/Failure"
The degredation can be easily seen on the oxidation and nitration values in a UOA. You can view the message here https://forums.noria.com/eve/forums?a=tpc&m=305601547&f=616604995--> A new post from forums.noria.com > Message Boards > Car and Truck Lubrication! Would you like to explain the oxidation and nitration of PAO/ester oils like Amsoil and Redline if sludge is impossible? How about oxidative thickening? You must be Charlene Blake's husband, or mechanic. Unlike older generation Group III stocks, which can have more than five percent aromatics, modern Group III stocks also undergo subsequent severe hydrofinishing after hydrocracking and hydroisomerization. Consequently, they have exceptional purity with aromatics levels of much less than one percent, resulting in high thermal and oxidative stability. On the other hand, PAO stability depends largely on residual olefin content, which can be present at significant levels - up to five percent. Even though PAOs have generally excellent oxidation stability, in many applications such as engine oils or high-temperature compressor oils, their performance is matched by modern, severely processed Group III base oils. Oxidative, thermal and hydrolytic degradation will change the base oil's chemical and physical properties, which then alters the lubricant's performance properties. Does PAO not contain Hydrocarbons? Hey guys---As much as your input as to some of the many possible sludge causes is greatly appreciated, an important issue here IMO is a challenge to Charlene Blake for the "dramatic overstatements" (as one of you put it so succinctly! )she makes here in her long standing campaign of misinformation re Toyota. Her as yet unrepentent "lie" re "millions of 'demised' sludged engines" is so off the wall that it goes far beyond ludicrous. It's agreed she was caught in another (of many) overstated accusations, so that in and of itself speaks to her habitual untruthfulness. She then attempts to deflect from her lie by offering a Class Action Law Suit as support--but lies again when she implies (note the second syllable!) the Suit was signed by those "millions" of owners. More characteristic untruthfulness---BTW, in this case she conveniently omits several facts re that Law Suit: (1) It was in Louisiana, and involved only one hundred "class interests"--people who were represented in the action; (2) Judgement in the Suit was no different than the SPA Toyota offered owners years ago; (3) There was no mechanical or design flaw identified--in fact the suit placed no blame whatsoever on either party; and (4) Louisiana is by far the most prolific Tort Litigation site in the country--even the National Law Society has admitted the situation there is tantamount to legalized extortion!! So I guess what I'm trying to say here is to ask not to add more controversy to the issue than it deserves--and if there's something to take issue over, focus first on people like Blake who take malicious potshots at others, and continually misuse these forums with their "dramatic overstatements" !! Her credo seems to be "It's not whether you win or lose, it's who you can find to blame".